Game Video Recap: Barrie Colts defeat Niagara IceDogs 4-1. #OHL - Very Barrie Colts | A website covering the Barrie Colts of the OHL. 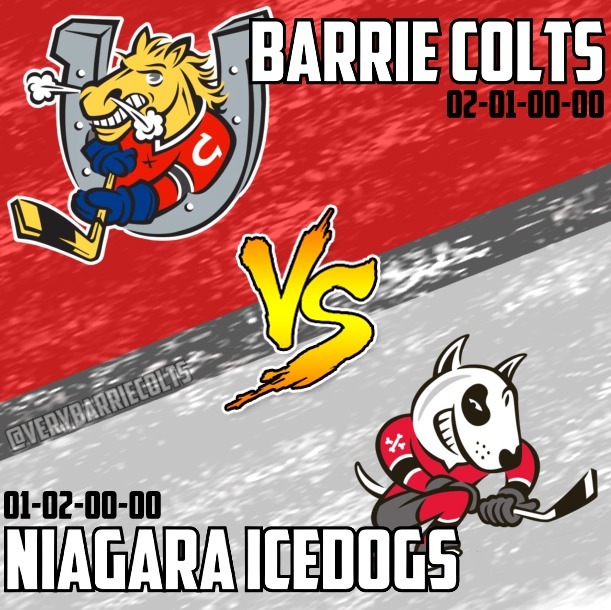 Last night the Barrie Colts defeated the Niagara IceDogs 4-1. BAR K. Labanc, (2) (R. Andersson, J. Nattinen), 19:29. Colts Goal; B. Prophet, (1) (K. Labanc, J. Scott), 13:023. Colts Goal; J. Scott, (1) (A. Mangiapane, M. Webster), 13:26. Colts went 1-3 on the power play and 1-3 short handed. Webster got 4 shots on goal and was a +2. COLTS OUT SHOT A TEAM AND DIDN' SPEND THE GAME IN THE PENALTY BOX! 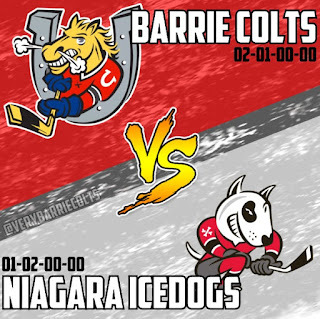 Colts next game is tonight when they host the Kingston Frontenacs. Barrie won the first meeting of the season 4-3 at the Fronts home opener.